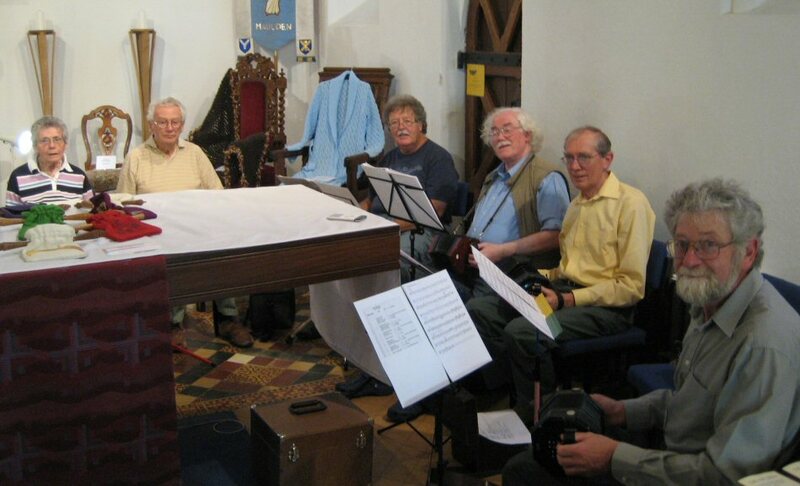 This page has music recordings from the Chiltinas self-help concertina group, recorded while playing at the "Made in Maulden" event in Maulden Church on the 7th May 2008. They were recorded on an Apple IPod with Griffin iTalk Pro attachment and processed using Audacity, both by Paul Hardy. In a few cases, the auto level control introduced audible clicks, but in general the quality is fair, considering the portability of the equipment!